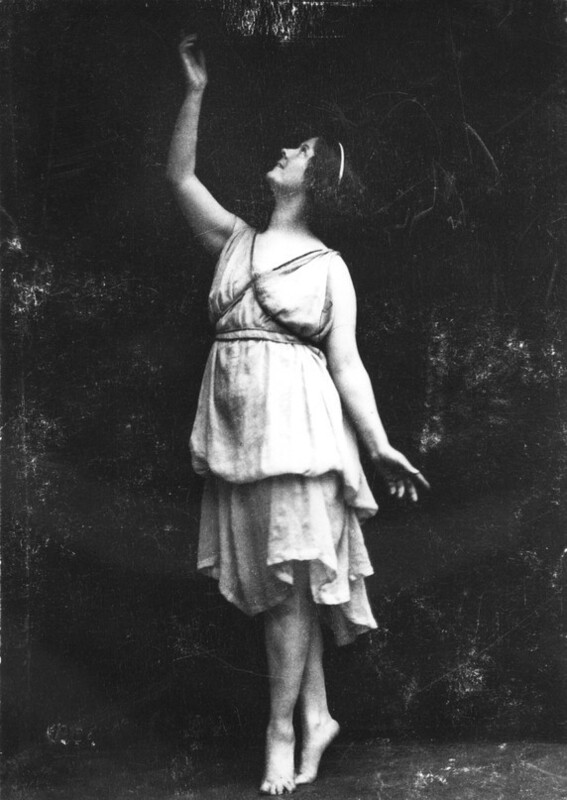 Angela Isadora Duncan, the “Mother of Modern Dance,” was a revolutionary dancer born May 26, 1877 in Oakland, CA. Starting from humble and unconventional beginnings, Duncan found her greatest inspirations from nature. Throughout her career in the late 19th and early 20th centuries, much to the world’s awe, she went against the cultural conventions of her day, and created a dance technique based on the natural movements of the human body and self-expression – a concept that was unheard of during her time. She believed that the dancer of the future would be one “whose body and soul have grown so harmoniously together that the natural language of that soul will have become the movement of the body.” Her artistry and vision inspired many artists of her time, helping to shape the world of performing arts as we know it today. The Isadora Duncan School of Dance was a family enterprise with Isadora’s sister Elizabeth in charge of the day to day curriculum. Dance was only one of the subjects taught. Each day there were 4 hours of general school work provided by state certified teachers in areas of history, literature, mathematics, natural science, drawing, singing, languages, and music. Remaining hours were spent in the study of the dance arts. In her lifetime Isadora founded three schools. The first was in Grunewald, Germany 1904 to 1908. The second was in Paris, France 1914 to 1917. The last was in Moscow, Russia 1921 to 1927.